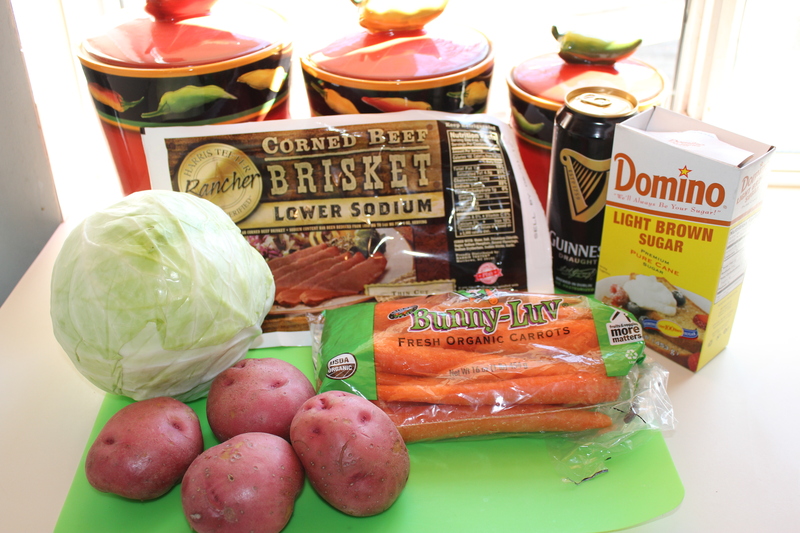 It should be no surprise to anyone that March 17th – St. Patrick’s Day – is National Corned Beef and Cabbage Day. I love corned beef, especially for leftovers to use in Reuben sandwiches and paninis, or as a base for corned beef hash. 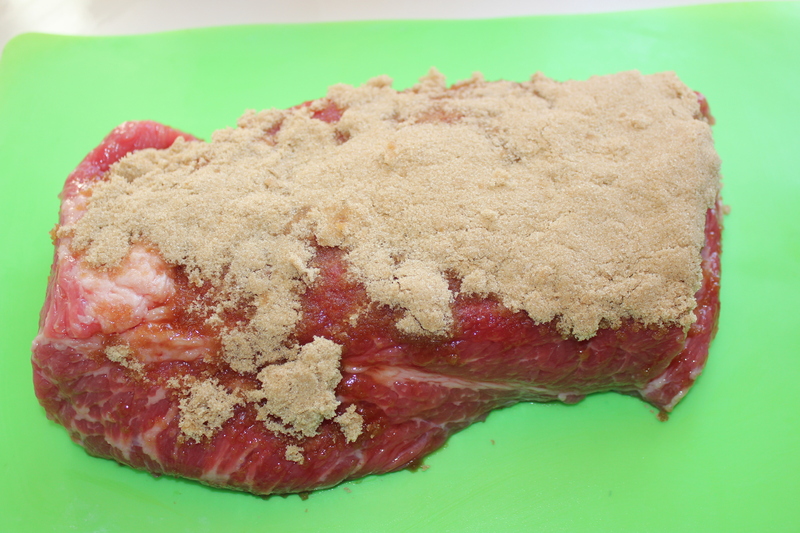 This year I decided to cook the brisket in Guinness (not only since it is good for you, but also because beer is a great tenderizer) and found this great recipe that called for coating the corned beef with brown sugar and then adding the beer. Why not, I thought. I decided to use my slow cooker instead of preparing it on the stove/oven as I usually do. Wow, simply wow. This was absolutely one of the most tender briskets I’ve ever made. 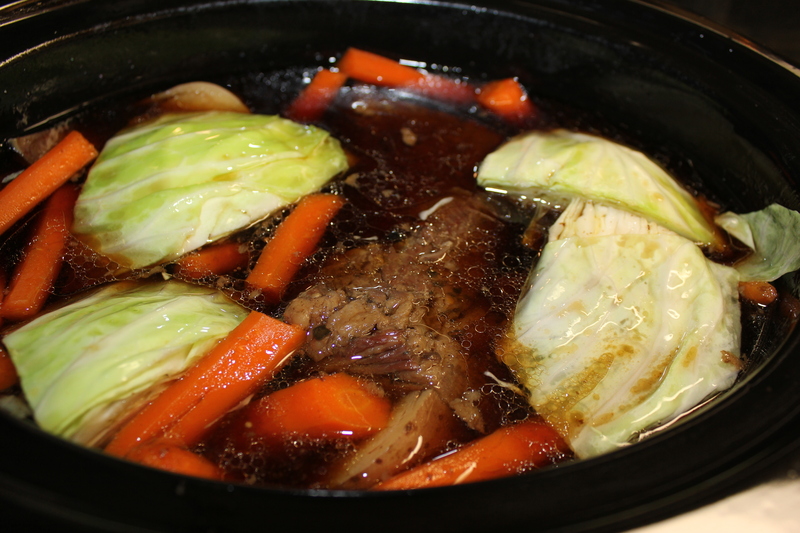 The addition of the brown sugar not only gave the beef a great taste, but also enhanced the sweetness of the carrots. Wash the brisket well and dry with paper towels. Coat it on all sides with the brown sugar. 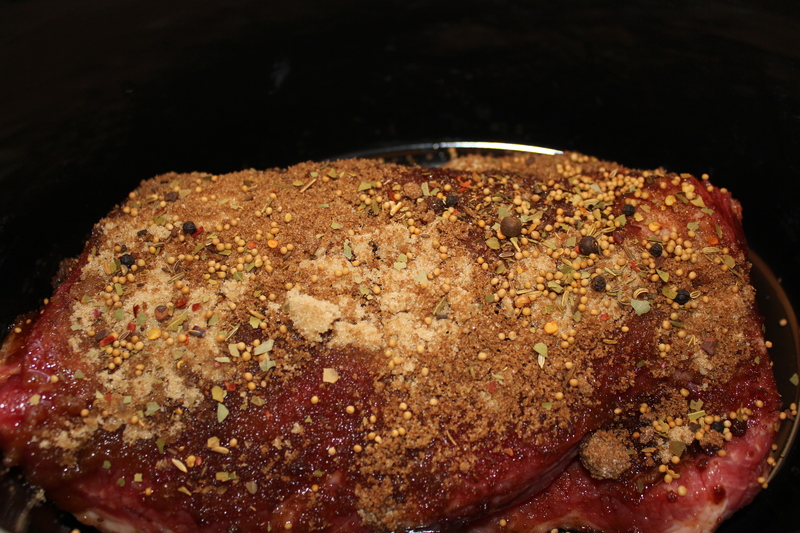 Place the corned beef in the slow cooker and sprinkle it with the spice package. Add the Guinness. 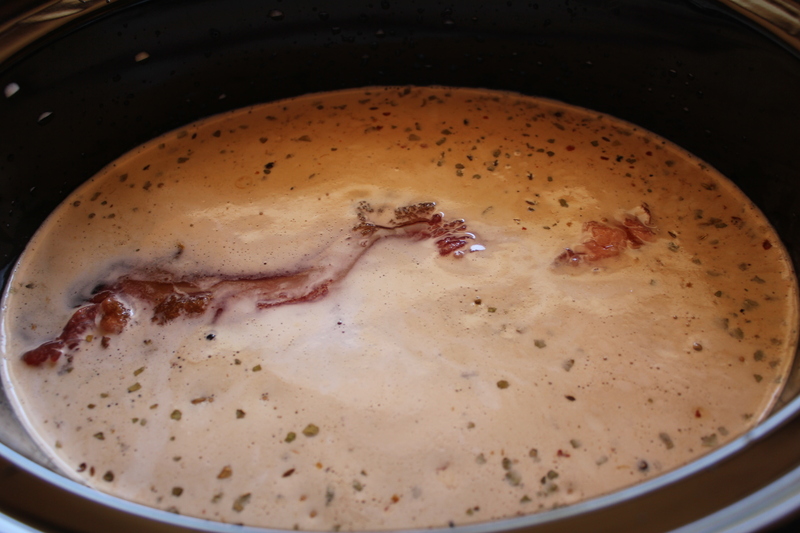 If the beer does not completely cover the brisket, add water until you can no longer see the corned beef. If you cannot be home while this is cooking, place the “fat” side up in case some of the liquid evaporates – this helps the brisket not to get dry. Cook on low for 6-8 hours – the longer, the better – for tender, fall-off-the-fork meat. 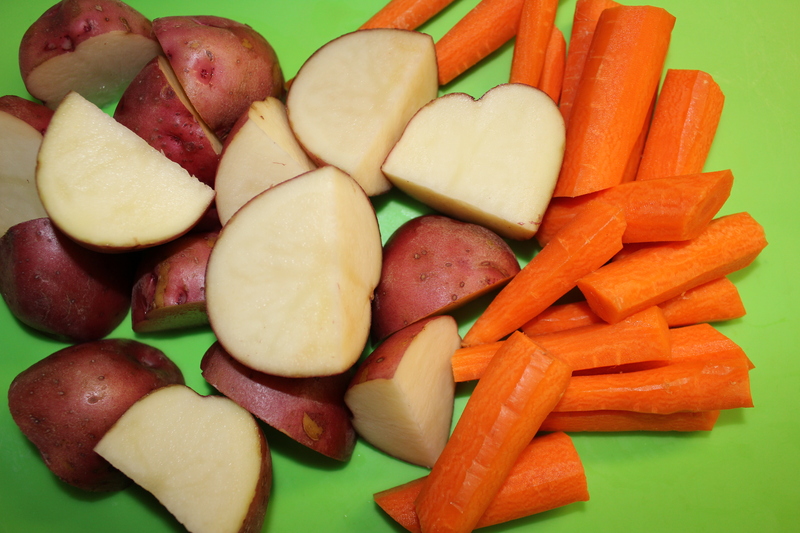 About two hours before you are ready to eat, add the carrots and potatoes. 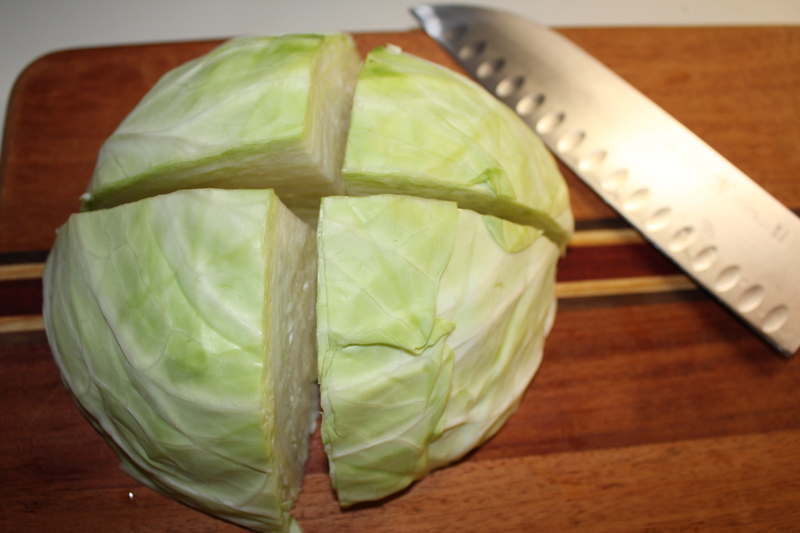 About ½ hour before dinner time, add the cabbage. This is such a wonderful one-pot meal. Serve with some nice crusty bread if you’d like. As I mentioned earlier, I love leftover corned beef for sandwiches and to make hash, and I will be posting recipes for both soon. Want to make something different for St. Patrick’s Day? Check out my post for Kel’s Incredible Irish Stew and Kel’s Traditional Shepherd’s Pie for some tasty alternatives. It’s all good! 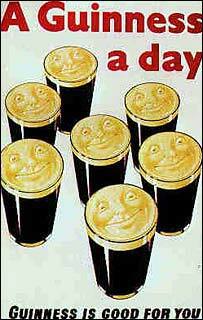 And don’t forget, Guinness is good for you! This entry was posted in Food of the Month, Meat and Poultry, Recipes, Slow Cooker and tagged Corned beef and cabbage, Corned beef recipes, eat drink and be merry, Food of the month Kel's Cafe of All Things Food, Guinness brown sugar corned beef, Guinness corn beef and cabbage recipe, kel's cafe of all things food, Kel's food of the month: corned beef, Kelley Chisholm blog, Slow cooker corned beef. Bookmark the permalink. 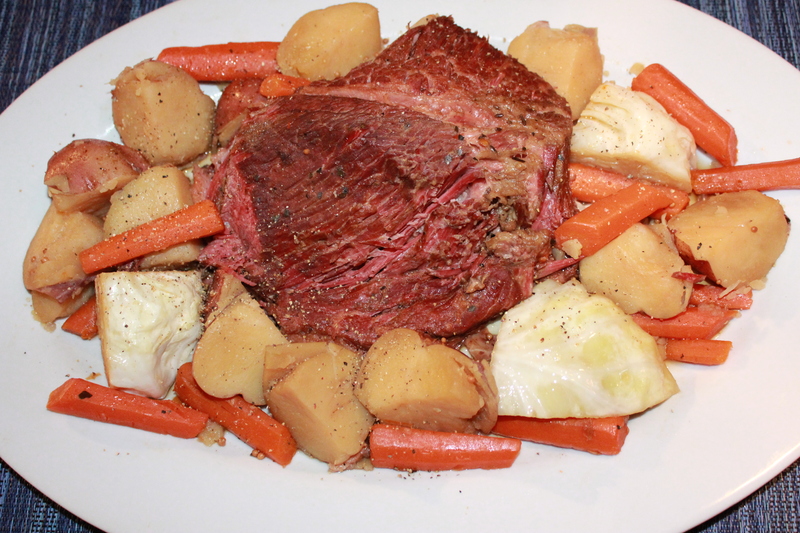 I think everyone must have a piece of corned beef sitting the refrigerator waiting for St. Patricks Day. Using a slow cooker is a great way to make sure it is nice and tender. Sounds good. Thanks, Karen – give it a try – I think you’ll really like it, and it’s so easy to make!